Meeting point is at the Ocean Blue Adventures office situated in the Milkwood Centre, Hopwood street, 15 minutes prior to the departure time. Experience an African way of life by exploring the everyday life of a real African; with a guided tour you are able to explore interesting facts about the Xhosa history and Tribal culture. Meet the local children at the crèche and be entertained by their beautiful voices in song, See where the locals buy their everyday essentials. Our Township tours offer close and personal interaction with the local community. Ocean Blue Adventures is investing in environmentally correct measures, such as the Program of Community Vegetable Gardens. This project, with relatively small contribution of resources, can benefit and reach a great number of people living in Qolweni with only 20% of this community working. Guests meet at the Ocean Blue Shop, where they meet with their guide and depart for the memory bridge (Bridge over the national road leading into Qolweni). *Guests are required to use their personal vehicles and once they have met at the Ocean Blue shop, they are required to pick up the guide and return the guide after the cultural tour. On crossing over the bridge we take a walk to the Siyakula Pre School where teachers welcome guests to the children. Guests participate in a full tour of the school and end with the children in choir. They will be taken to the spaza shop and shabeen before meeting the locals at their homes. Afterwhich, guests will end the tour at the siyakhula nursery school before departing back to the Bridge. 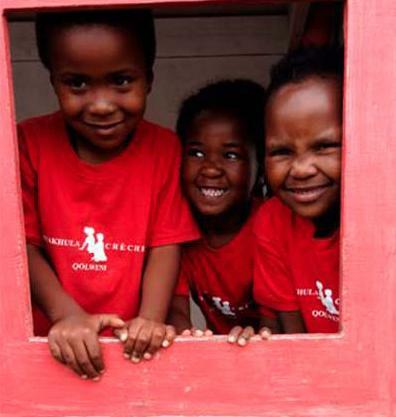 The funds raised through the township tours and a percentage of Ocean Blue Adventures' turnover gets utilized to pay Teachers Salaries and towards the maintenance of the Qolweni crèche. This gives all children the opportunity for the education they deserve. This allows their parents to seek employment knowing their children are well looked after and fed. 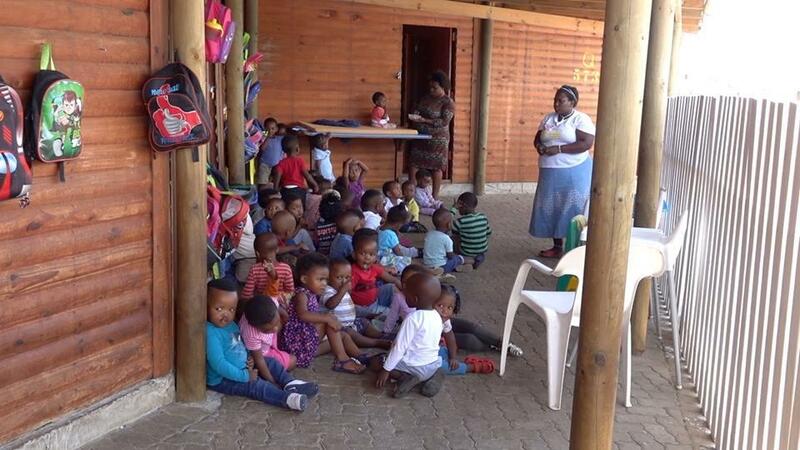 The trust also creates jobs by employing teachers for the crèche. 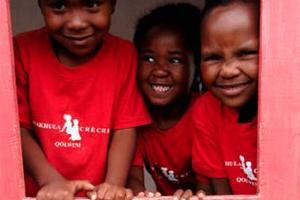 Currently the crèche has a principal and 7 teachers looking after 240 children. Ocean Blue is now in the process of building another classroom to accommodate more children, bringing our number of classrooms to 5. Meeting point is at the Ocean Blue Adventures office situated in the Milkwood Centre, Hopwood street, 15 minutes prior to the departure time. * Guests meet at the Ocean Blue Shop, where they meet their guide (Guests are required to use their personal vehicles) and depart for the memory bridge (Bridge over the national road leading into Qolweni). * On crossing over the bridge we take a walk to the Siyakula Pre-school where the teachers welcome guests to the children. * Guests participate in a full tour of the school and end with the children in choir. They will be taken to the spaza shop and shabeen before meeting the locals at their homes. * Afterwhich, guests will end the tour at the siyakhula nursery school before departing back to the Bridge. Shopping at Shabeen and Spaza on own account. No Wheelchairs (Due to gravel roads).